Kodi is one of the best media players available for a wide range of platforms and devices. You can easily install Kodi on devices running Android, Windows, macOS, and Linux. Plex is a media server with a bevy of apps. These allow playback on various devices and platforms. We previously talked about how to install Kodi on Windows and other operating systems. But today we are going to talk about moving from Kodi to Plex. Plus, we'll explore what you need to consider before making the switch from Kodi to Plex. Why should you switch from Kodi to Plex ? 1. A server is needed for Plex, while on Kodi you only need a player. There's no denial that Kodi is a great media player supporting most of the file formats available. Kodi and its forks run on a loads of devices. These span from powerful computers like our cheap 4K HTPC build for Kodi to small form-factor computers like the Raspberry Pi 3. For most users, there's no reason to start moving from Kodi to Plex. However, there others need the extra functionality provided by running a Plex server. When switching from Kodi to Plex, you get added functionality. Plex offers the ability to stream videos anywhere to an array of devices. Additionally, you can share you media collection with friends and family from a centralized location. 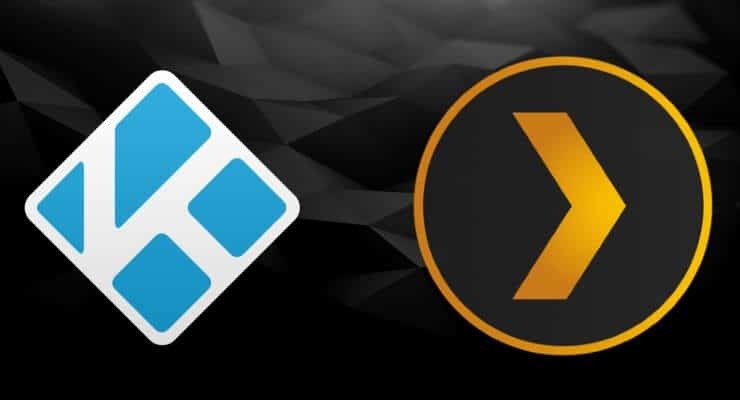 Make sure you check our article Plex vs. Kodi – the ultimate comparison guide for beginners to learn the pros and cons for a educated decision. Before moving from Kodi to Plex, make sure you prepare in advance with a server. This is required in order to run Plex Media Server. For media playback trough Plex apps, a server is needed to serve the media files. On Kodi, the playback can be started in just a few minutes by connecting a drive with media files directly to the Kodi Player of your choice. The server should be powerful enough to transcode your media in real-time in order to avoid buffering and interruptions. If you need a cheap server to run your Plex Media Server instance, you can buy the budget headless home server build 2017 for serving media. You can also install Plex in the cloud, but in order to do this, you will need a subscription for Plex Pass to use Plex Cloud. Using Plex is great, but the flexibility it offers comes with a price. The Plex apps need to be purchased individually, for each platform owned. While on your computer, or consoles like the Playstation and Xbox the app is free, when it comes to mobile streaming devices the Plex app is paid. On Android, in order to stream your media everywhere you need to purchase the app for ~5$. The same cost is applied to iOS devices. While this payment is only one-time / platform, this cost can make some people to give up on the switch from Kodi to Plex. Please note that the apps can be received “for free” if you purchase the Plex Pass, a 4.99 monthly subscription. Learn more about Plex Pass subscriptions on their website. If you got used to degree of customization offered by Kodi, prepare to be disappointed by Plex. The amount of customization available to the user is extremely limited, so try the Plex interface before moving from Kodi to Plex. You can install some skins for Plex, but in order to do this, you need to run OpenPHT as a media player. By doing so, you can use a skin like Aeon Nox. When using Kodi, most of the file formats for subtitles work out of the box. But on Plex, depending on the device, you may encounter some issues. When using other types of subtitles, Plex automatically starts transcoding on media playback, even if direct play is accepted. This issue can be avoided by making sure the subtitles are in a compatible format, or by stop using the subtitle (if it is not needed). If you also want to automate your subtitle downloads, you can check our article on how to install SubZero channel for Plex. I hope this article makes your decision easier when thinking about moving from Kodi to Plex. I moved my entire media library from Kodi to a Plex Media Server, and I use a Odroid C2 with OpenPHT for playback. This setup works great for me and after a lot of tinkering with Kodi in the past, I can now enjoy my evenings without having to do maintenance work before watching a movie. If you're taking the plunge to do the switch from Kodi to Plex, I'm sure you won't regret it.